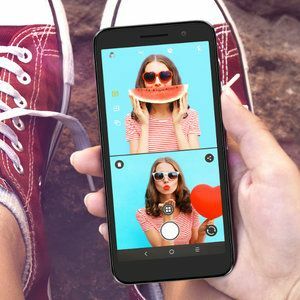 TCL has just announced its newest smartphone in the Alcatel lineup. It's the Alcatel 1 Android Oreo. This is the latest smartphone from Alcatel to join the Android Go ranks, along with the Alcatel 1X that debuted at Mobile World Congress. It's fairly bare-bones smartphone, which is why the price is just $79 here, and why it is also running Android Go, but it does still do quite a few things well.